Hannah Learns – And learn I do! It’s hard to believe that this postgraduate journey is coming to a close – it seems like only yesterday that I was sitting in the Mind Lab for that first Saturday but, at the same time, a lot has happened since! For me, the whole experience has been eye-opening. Despite only graduating from Teacher’s College in 2012, I have often felt that I was already quite behind the times. The post graduate programme has been a great way to play catch up with what is going on in the sector and gain plenty of new ideas to take back to my school. I’m not sure it’s possible to put into a blog post all the ways that the past 32ish weeks have impacted on my practice, so I think it best to focus on the two that I feel are most significant. John Hattie tells us that teaching is an evidence-based profession (Hattie, 2012). Yet, I can count on the fingers of one hand how many times I have consulted the literature prior to starting on my postgrad journey. If I was reading literature, it would have been one of my university textbooks or a short reading given to me in a staff meeting. Occasionally, I might pick up another book, but rarely would I actually finish it. The literature review process was an eye-opening experience, in the sense that I was not aware that there was academic literature written on the more practical aspects of teaching. I was surprised to find myself enjoying writing it and genuinely wanting to find out more. Now, if I have encountered an issue in the classroom or an aspect I felt needed improvement, my searches have often started with Google Scholar instead of just plain old Google. In part, this was a result of my lack of access to academic journals and other texts. University library log-ins are amazing things, and I feel it is a strange practice that we don’t keep access to the libraries of institutions we have studied with post graduation. Getting copies of academic journals, legally, is easier said than done when you are no longer enrolled at university. The wonderful Camilla introduced me to the Ministry of Education Library back in November. That combined with the large number of articles now available online mean that I am able to continue professional reading after postgrad is finished. One of the big questions that I think perfectly sums up the postgrad is ‘How do we prepare students for a future that doesn’t exist yet?’ This question has become increasingly relevant in the 21st Century, with technology developments progressing so rapidly that . At university, we spent far more time learning about how to teach the specific learning areas than we did the key competencies (Ministry of Education, 2007) and, to some extent, I wonder whether or not I was adequately aware of how important those competencies for students when I graduated. The students I teach now will rarely find themselves in a situation where Google is more than five metres away – many of their questions will be answered with a quick search and, if particularly complicated, a bit of reading. Boldstad et. al. (2012) suggest that if they are to thrive in an uncertain world, it is unlikely to be as a result of their knowledge. Instead, it will be because of the toolkit of skills they have developed over the course of their education. It speaks volumes that a set of competencies – created almost ten years ago now – are still just as relevant today as they were ten years ago. One of the big changes I am starting to make is thinking about and consciously planning for the development of key competencies in students. Yes, achievement objectives are still important but I also feel that learning should aim for the development of those very important skills. The content is the vehicle for teaching the skills. While this professional development journey is coming to a close, there are plenty more that I wish to embark on. I have been asked by my school to participate in the Ministry’s Accelerating Literacy Learning programme and I am quite excited to do so. Having seen a colleague take part in Terms 1 and 2, I have been able to come up with some ideas that could form the basis of an inquiry in teaching writing. Gamification was one of the topic areas I was tossing up for my literature review and teaching as inquiry plan (R&C 1 and 2) – I am thinking that my inquiry will focus around harnessing the power of gamification to improve the learning of students in writing. It’d be interesting to see if the Literacy Learning Progressions can be gamified to make next steps clearer for students and give them the motivation to further develop their writing. 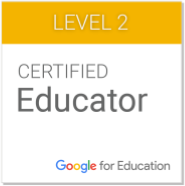 Aside from my participation in ALL, I am hoping to complete Level 2 of the Google Certified Educator qualifications. The option of the Masters really got me thinking, but I feel that some more experience in the classroom would be a good idea before I travel down that pathway. Something tells me that, in a year’s time, I may reevaluate that stance. This whole experience of taking part in postgraduate study has been really beneficial, both to myself and my students, and I have a feeling I will really miss it now that I am finished. Ministry of Education. (2007). The New Zealand Curriculum. Wellington: Learning Media Limited. This post concludes the eight-week series of blogs I have written as part of my #MindLabEd Postgraduate Certificate. As a practicing teacher in the primary sector, my teaching is, by nature, interdisciplinary. Unlike my secondary counterparts, we are trained in the pedagogy and content knowledge of all eight of the New Zealand Curriculum Learning Areas, and will likely end up teaching all of them and one point or another. The primary sector, by nature, is interdisciplinary, although some schools are more so than others. The advent of National Standards has seen the three Rs – Reading, Writing, and Maths – embedded in as many contexts as possible in order to maximise students’ exposure to key teachings. As a professional, I aim to spend time developing my knowledge in a variety of disciplines. Because of skills and content I teach, I cannot be an expert in everything, so I use a network of connections to help me. You can see my current network below (and view it live here). Jones, C. (2009). Interdisciplinary Approach – Advantages, Disadvantages, and the Future Benefits of Interdisciplinary Studies. ESSAI, 7(26), 76–81. Social Networking has made a substantial impact on my teaching career and, in many ways, has helped shape the path that I am now on. As a beginning teacher struggling to find my first teaching position, twitter showed me many of the awesome things happening in the teaching community and helped me come to the conclusion that I wanted to be a teacher specialising in the integration of digital tools for learning. In many ways, it was my first community of practice (Wenger, 2000). Of all the social networks available for professional learning, my favourite would have to be Twitter. It serves as a place where educators can share whatever brilliant things they are doing in their classrooms with anyone watching, whether they be via individual tweets or the sharing of blog links and educational articles. George Couros (2015) makes an excellent point when he says that you can often tell if a teacher is on twitter because of the innovations evident in their classroom. Teachers on Twitter have greater access to the newer practices in the profession and are more willing to experiment. The brevity of tweets makes it possible for me to quickly scroll through large numbers of ideas, picking out only the ones that are relevant to my context. It also serves as a great way to work out which blog posts I should be reading. The aspect of Twitter I find most beneficial is that it is an application that you open when you need it and/or when you have time for it. I’m just on the other side of the mid-year report writing period and I can tell you that my twitter account has been very inactive these past few weeks. However, as things start to settle again, I will open that tab more and more. As teachers, we talk a lot about personalized learning for students, yet it is really only just being a conversation we have in the context of teachers. With Twitter, I am able to focus on content coming through that is relevant to my professional learning goals – my personal ones, not the ones on my appraisal – and what I am interested in as an educator. A quick search or a ‘would anyone be willing to share about _____’ is all it takes to gain new information and strategies that are generally tried and true. With the wide variety of hashtags popping up for specific topics and the chats to go with them, it is fairly easy to connect with individuals with similar interests and discuss teaching and learning. While I already do a fair bit of professional learning on twitter, one thing I would like to work on as a twitter user is being more participative. When I started out, I was a textbook ‘lurker’, watching what was happening and barely participating. While I have gotten much better now, I still feel that I do not share my thinking enough, especially when thinking about how much I have benefitted from others sharing. In many ways, this aligns with Karen Melhuish’s (2013) remarks about situations on the VLN – that teachers need to take the step up from participating to actually leading or driving collaboration in the online setting. As a teacher, I am very aware that I hold a public position in my community. Despite living roughly 25km from my school, I can never be 100% certain that I won’t run into someone I know from school. In many ways, this impacts on my decision making when I am in public – I am very aware of the potential of being spotted, so I make sure that I am always acting in a manner that I would be happy for one of my students or a parent to see. This thinking also extends to my online presence. My Facebook account is well locked down, my Instagram account is well hidden and, frankly, there is nothing particularly exciting on either. Both are intended only for personal use; students know that friend requests to me will be declined, and I choose any colleagues I add very carefully. Any outward facing accounts I do have are intended for professional use, and their tone, clearly, is professional. This blog, for instance, I would be fine with any one of my students stumbling upon, and my Twitter profile is much the same. To lessen the likelihood, I omit my surname from my profiles. One of the ethical dilemmas that have arisen out of increased social media usage is the blurred line between school and parental responsibility with incidences of cyberbullying. As an intermediate school, we find we are faced with this one more than we would like. Traditionally, schools have dealt with what has happened on the way to, at, and home from school – anything that fell outside those parameters was the parents’ responsibility. With the advent and wide adoption of social media, we feel that, ethically, this is no longer an appropriate stance to take. The Education Council Code of Ethics for Certificated Teachers identifies that teachers have a responsibility to provide “responsible care” (Education Council of Aotearoa New Zealand, n.d., para. 3), especially to learners. While there is no specific definition for the meaning of these words within this context, I feel that dealing with instances of cyber bullying falls under the first section, “Commitment to learners” (para. 6). As teachers, we are responsible for taking every reasonable step to promote our students’ hauora. While our school has no specific policy on cyberbullying, incidences can be covered by both our ‘Bullying’ policy and our ‘Incidents Outside of School’ policy, which both fall within NAG 5. These state a clear process of referral up to the Deputy Principal for investigation, identification of the facts, parental contact and appropriate consequences for the student/s carrying out the bullying. As a school, we are good at dealing with specific instances when they crop up, but our approach to combating cyberbullying is largely reactive. Classes will have learning conversations about the types of communication students should be doing online and how to keep things positive, but there is no formal, school-wide teaching. With the high adoption rate of digital technologies in the school, and the knowledge that we are likely to be flooded with Chromebooks next year as students come in from feeder schools with 1:1 approaches, we know that a unit of some description is needed, and we are working to develop it. When I was at Teachers’ College – not that long ago – the Te Kotahitanga Project (Bishop, Berryman, Cavanagh, & Teddy, 2007) was in its heyday, and we spent substantial amounts of time talking about the implications it had for the definition of culturally responsive practice. The project itself was focused on Māori students in the initial years of secondary education, and worked with teachers to reform practices for the benefits of students. Many of the practices have since informed documents such as Tātaiako (Education Council of Aotearoa New Zealand, 2011) and Ka Hikitia (Ministry of Education, 2013), and are reflected in the Practicing Teacher Criteria (Education Council of Aotearoa New Zealand, n.d.) all teachers have to maintain for registration. In essence, culturally responsive practice is about welcoming and making room for a student’s cultural identity in the classroom, and leveraging them to drive teaching and learning (Gay, 2002). This means creating teaching and learning programmes that allow for students to bring their own cultural practices and perspectives to their learning, and treating those contributions as valid and important. As a teacher of adolescents, culturally responsive practice has a second dimension – acknowledging the culture of adolescent youth in South Auckland. In my classroom, this means having an awareness of the daily experiences of my students, the current trends appear in YouTube viewing before school, the topics that pop up in conversation. Weaving these into teaching and learning within my classroom helps my students to make further connections and see its relevance. Every second year, we start the year with a unit focusing on Identity and invite the students to research their ancestors, looking at ways that they live their lives and comparing them with how we live now. We have just done away with the only unit that cannot really be connected to student identities – fair trade – and are in the process of replacing it with focusing on sustainability, which allows for many different perspectives. One thing we need to work on is communicating with our community, particularly our Māori and Pasifika parents. We hold many meetings targeted at getting input from these communities, but they are rarely well attended, and we are somewhat puzzled as to why. I remember very vividly a particular university lecturer, whose name I have unfortunately forgotten, talking about the implications of the schooling experiences of parents on how they felt entering into a school. She spoke of individuals who would, upon entering the classroom, appear to lose all sense of identity and retreat to the ‘yes Miss, no Miss’ type responses we often get from our students. I suspect there may be an element of this at play with our community. I have no hard data to endorse this theory, but what I do know if that what we are doing at the moment isn’t quite a partnership, and I think that the best way to improve our communication with the Māori community, in particular, is to enact the principles of the Treaty in our communications with them, and ensure that we are working together to support our learners. Bishop, R., Berryman, M., Cavanagh, T., & Teddy, L. (2007). Te Kōtahitanga Phase 3 Whānaungatanga : Establishing a Culturally Responsive Pedagogy of Relations in Mainstream Secondary School Classrooms Report to the Ministry of Education. Education Council of Aotearoa New Zealand. (2011). Cultural competencies for teachers of Māori learners: Tātaiako. In Future State 2030 (KPMG International, 2014), KPMG consultants list the “Rise of the Individual” as the second global megatrend. In many ways, this is evident in education also. The words “differentiated” and “personalised” are common in most staff rooms – my school included – and their meanings are well understood by most within the teaching profession. Rather than the whole class focus of fifty years ago, today’s classrooms aim to deliver programmes of instruction that are tailored to individual students needs. The rise of technology in education has certainly made this more possible than it used to be. This is something that I feel my school community of practice has done well in adopting/adapting to. My classroom, like many others in my school, features a wide range of abilities. I run our day so that each of those students gets learning that marries up with the areas that they need to work on, whether or not it be through using group teaching or simply using the digital tools available to me to discretely give students the best activity for their particular needs. One thing my community is only beginning to address is the ‘student driven’ aspect of personalised learning. Bolstad et.al. (2012) describe authentic personalised learning as learning that is developed with the student; where the direction of the learning follows the direction of student questions and areas of interest. While we are starting to think about this, it is not yet ready to be put into practice. This is the area of personalisation I am most interested in focusing on. When I went to school – not that long ago – we knew, to some extent, what the world we would walk out into would look like. There were some elements that we could not predict, like the Global Financial Crisis, but much of it was still relatively standard. The same cannot be said for students going through schooling today. For an education system specifically created to ensure that individuals were well prepared for jobs (RSA, 2010), this fact is problematic. Google has rendered much of the 20th Century’s model of education obsolete. There is no longer any need for students to memorise large amounts of content – a few keywords in the Omnibox is all you need to find a wealth of information on any given topic, most of which will be current and useful. Instead, today’s learners face the challenge of what to do with the huge volume of information available to them and how to interact in the digital setting that is still fairly new. One challenge my school is currently confronting is the shift from teaching content to teaching 21st Century Skills. Partnership for 21st Century Skills (n.d.) identifies the following skills as capabilities students will need for the future; creativity and innovation, critical thinking, problem-solving, communication, collaboration, and literacy with information, media, and ICT. In Literacy and Numeracy, skills are far more evident than anywhere else – it is hard to teach Reading without focusing on the skills of Reading, and very similar statements can be made for Maths and Writing. However, in some areas we are still adapting. I don’t teach critical thinking as much as I’d like to, even though I try and sneak it in wherever possible. And I really do worry about how many opportunities my students get to be creative in a day. At the end of the day, these are most likely the two things that will stop my students from being replaced by robots.